The Holidays. It’s nearly upon us. We only have less than two weeks left in 2017. Clarifying the relevance of your Sales Pipeline is not only crucial for refining your year-end forecast, but also for planning 2018 activities to get off to a good start. If you need to purge low potential opportunities, now is the time to do it. It’s like clearing out those clothes from your closet that you haven’t worn in two years. Until you do you don’t know what you really have, and where the ‘holes’ in your wardrobe are. 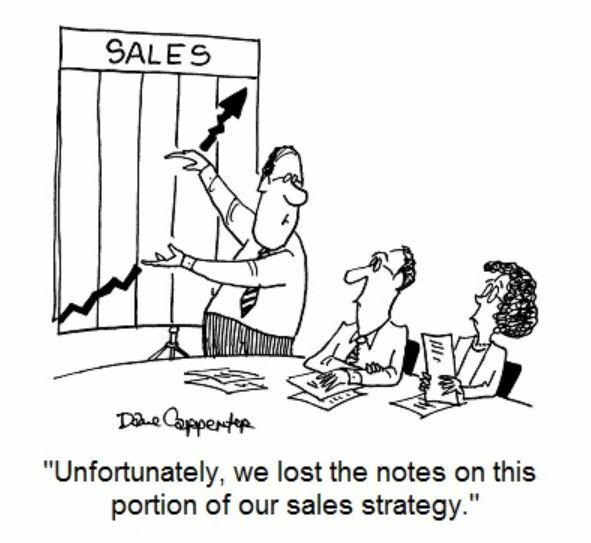 The same is true with your Sales Pipeline. So how do you purge a Pipeline? You need to compare where your opportunities are against a Sales Methodology such as Consultative Sales. This will reveal where you ACTUALLY are in the Sales Cycle, and help you plan to either move a prospect forward or drop it (or you could put into Nurture for intermittent follow-ups). Agreement / Negotiation of Terms, etc. Out of your current open opportunities, how many are still in the Pre-call stage? These are not qualified opportunities yet, they are just ‘suspects’ on your list. How many have you prepared an Approach for (email and voicemail messaging)? How many have you actually contacted yet? Remember, it takes on average at least 6 – 8 touches to elicit a response. If you have gotten their attention and they agree there is a problem / opportunity that you can help them with, where are you in your Discoveries process? Have you met with them to begin qualifying the situation? How many decision makers / stakeholders are there? Do you have a strategy to talk with them all, especially if they are in different offices or even countries? What is their typical Buying Process? Have you gained enough insight and information to begin to create your customized proposal? If not, you need to go back and fill in the gaps in your information gathering. Have you created / presented your customized proposal to the Decision Maker(s)? If not agreed to yet, have you identified their Objections? Using your notes from Discoveries, can you manage their Objections with further questions, etc.? Or are they now in their Decision-Making mode? Refer back to your notes on their Buying Process to gauge if it is proceeding as was described and align your efforts to it. Do you have a follow up plan? Have you received an initial agreement but still need to fine tune details? You need to move through this stage quickly to keep the momentum going. Cross your ‘t’s and dot your ‘i’s and gain final approval as soon as possible. Once an agreement is reached, the project plan for implementation now needs to be developed or confirmed. Do you need to involve an internal Project Manager for this? Have you lined up the resources required on both sides to deploy the solution(s) successfully? Is there a timeframe with benchmarks? Is the business counted as ‘closed’ upon the paperwork being executed, or does the solution have be implemented first? How long until this deal can be counted as completed? So, lots of questions at each stage of the Sales Cycle that drastically affect where this prospect should appear in your forecast. If you or your Sales Team currently do not have a vetted process for analyzing the ‘truth’ of your Sales Pipeline at any stage and would like to revisit your approach, consider outsourcing this strategy to a company who can introduce and coach your Sales People on an effective process that keeps you on top of your prospects, in real time, thus considerably increasing the accuracy of your forecasting!